Rrrrraaaaaggggeeee!! No tagline needed. 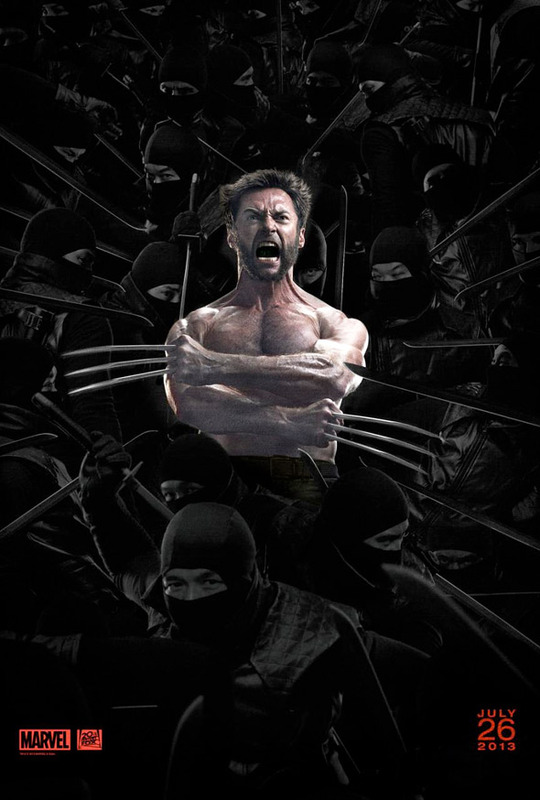 Everything that needs to be said is being said on Hugh Jackman's face, screaming in rage as Wolverine. 20th Century Fox has unveiled two new posters for James Mangold's The Wolverine standalone spin-off movie set in Japan, just before the trailer arrives this week. Both of the posters show Hugh Jackman as Logan screaming with his claws out, but they also have that kind of shiny, comic book-feel which really makes them feel a bit cheap. I love the ninja artwork, I just wish it wasn't a bad Photoshop and had more of a full-on comic book feel, like the first Wolverine teaser poster. That said, this still looks awesome. While we wait for the trailer to arrive, EW also unveiled a new set of photos. See below! Here's yet another alternate UK poster design, revealed by the official @TheWolverineUK twitter today. 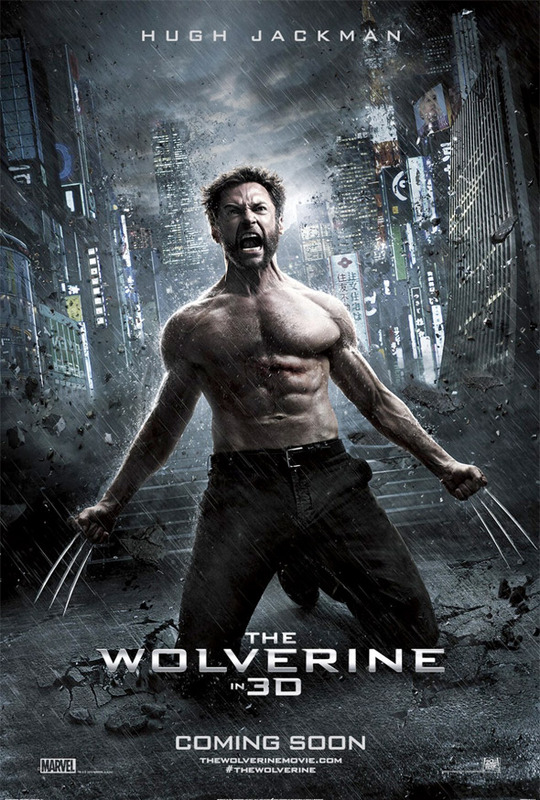 Based on the celebrated comic book arc by Chris Claremont & Frank Miller, The Wolverine finds Logan, the eternal warrior and outsider, in Japan. There, samurai steel will clash with adamantium claw as Logan confronts a mysterious figure from his past in an epic battle that will leave him forever changed. 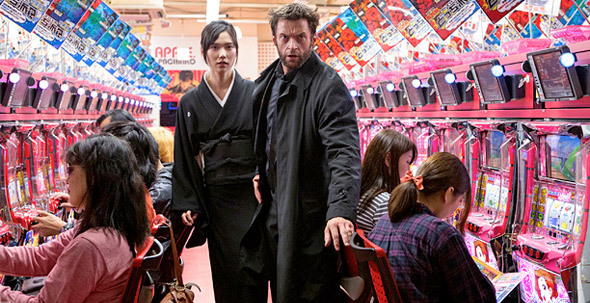 James Mangold (Walk the Line, 3:10 to Yuma, Knight and Day) is directing The Wolverine from a script by Christopher McQuarrie and Mark Bomback who are adapting the classic 1982 story arc in the Wolverine comics, which takes our favorite mutant all the way to Japan. The cast includes Will Yun Lee as the Silver Samurai, Svetlana Khodchenkova as Viper, Brian Tee, Hiroyuki Sanada and Rila Fukushima. 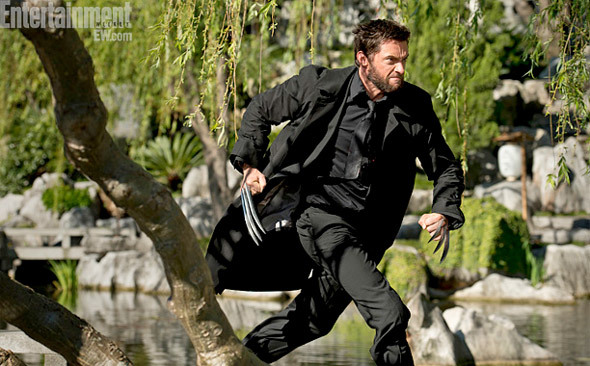 20th Century Fox is releasing The Wolverine in theaters starting July 26th this summer. Stay tuned for the trailer next. 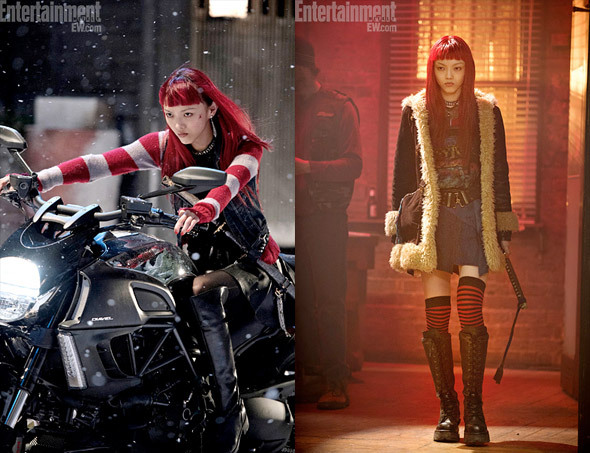 First thing that came to my mind after seeing red haired girl: Gogo yubari? Well, to be fair, Marvel ruined Wolverine long before the movie with the Origins story. First poster is one of the hackiest photoshop jobs I've ever seen. Fox actually paid someone to do that? First one is pretty bad yes, but I can't really hate anything that has that many ninjas on it. Yep. Those look like the posters I would expect from Fox. First one is just awful. Is it just me, or Jackman has the same face in both posters? Jackman promised awesome in the last one. So for this one, My expectations are straight to video quality. Why FOX treats their Marvel properties so poorly is beyond reason or understanding. The black and white one at my local theater is miles better than these twos. http://www.bing.com/images/search?q=wolverine+poster&FORM=HDRSC2#view=detail&id=979AD07A60FC59B2F60971F83C1F41FAA4E7CCAF&selectedIndex=0 Love. I'd say the first movie poster is one of the worst ever created... who did get money for that??? same face two bodies? awkward. Those posters are a joke and an insult.